Hell’s teeth, I can run! Running training today was three one-mile tempo runs with some 5kg medicine ball and 8kg kettlebell exercises in between. Incorporating lunges and squats – the usual fare of Adam’s strength training. Strong legs, strong core, strong shoulders. 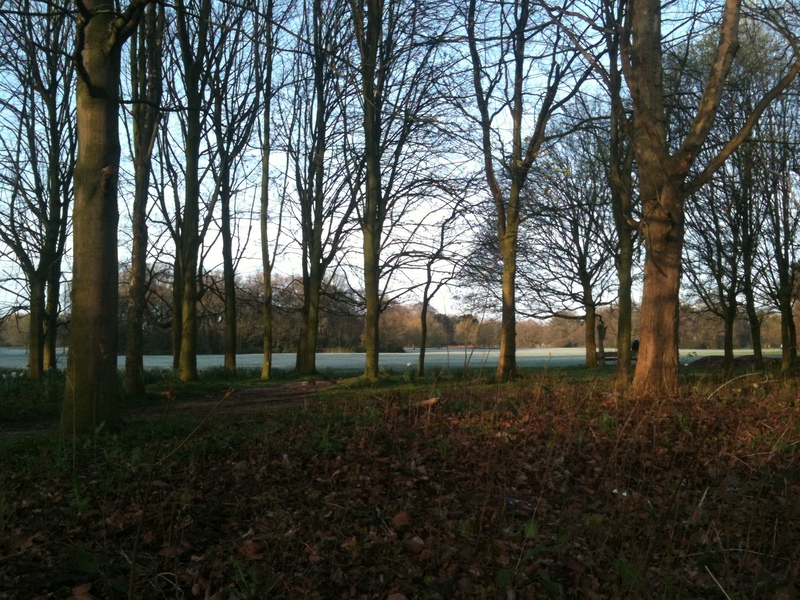 It was a beautiful morning for training – frost on the grass but bright and clear. 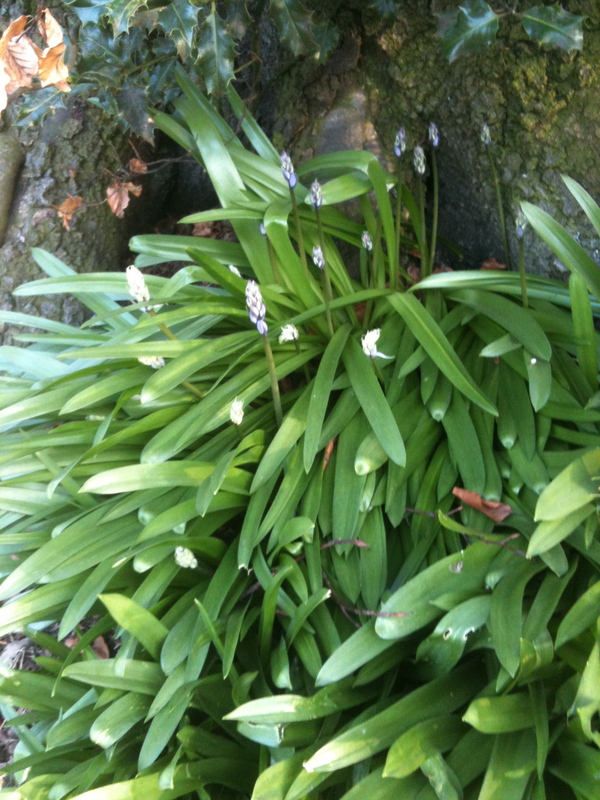 The first bluebells are just peeping through their buds now as well, so pretty. 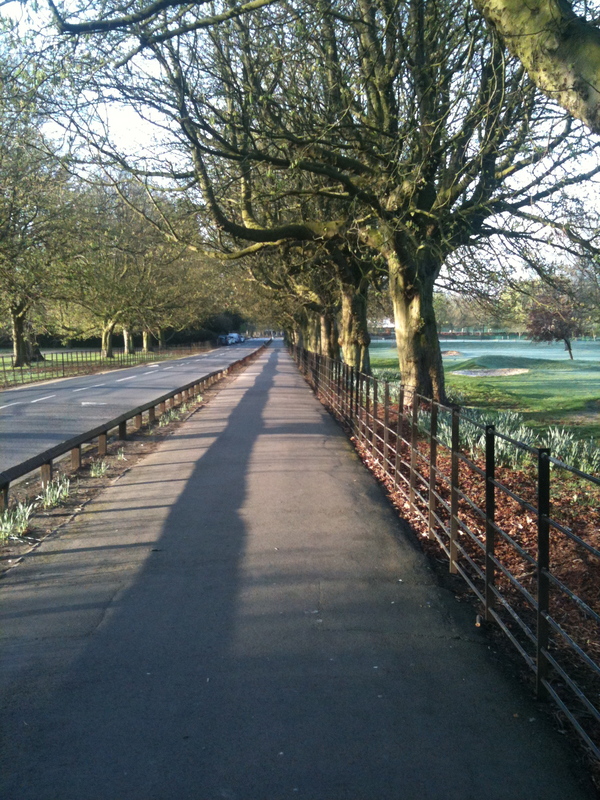 And the early morning light made tall shadows on the path to the car park where I meet Adam, my running trainer. Having had some less than positive runs this week I was a bit apprehensive about today. We started off with a mile loop. Much wheezing. Adam was babbling something about having been training on a treadmill on a gradient all week. I wasn’t really listening, I was concentrating on repeating ‘You can, you can, you can, ignore the wheezing, it’s normal, keep going, run!’ That and keeping sight of his ankle just ahead of me before remembering to keep my head up and look at his shoulder. Anyhow, first mile loop completed without trampling a small dithering pensioner and a sprint to the finish. 7.5 minutes! Like, proper running – and everything. 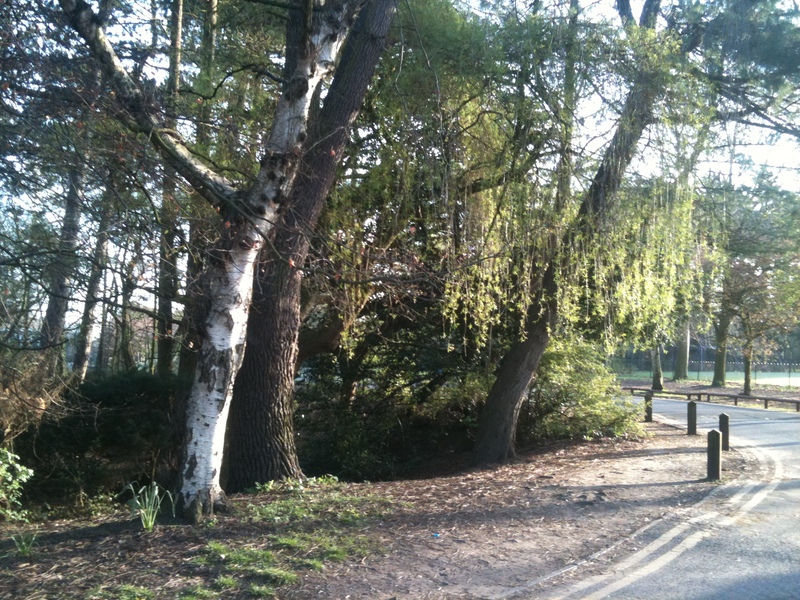 After strengthening exercises another mile loop – another 7.5 minute mile! I couldn’t believe it. Twice?! More strengthening exercises – my switch lunges being praised as ‘impressively bouncy’ – and we were off again. This time – not so fast. I was wheezing within a minute and my legs felt like lead. They kind of came to life again two-thirds of the way round but I was struggling and I was focusing on keeping going – with a sprint finish just to prove to my brain my legs had it in them. Not so fast but I completed. Left to my own devices my average mile speed is 11-12 minute mile pace. Today I was almost 25% faster than on my solo runs. Of course it’s one mile at a time – not four or six, but it’s impressed on me what I can do. I can run. Not jogging, proper running. I also have homework this week. One mile tempos x 3. Let’s see if I can match that pace, solo. With some thumping musical inspiration I think – it’ll drown out the sound of my wheezing for a start. Running training today. In miserable weather. Beyond dreich. 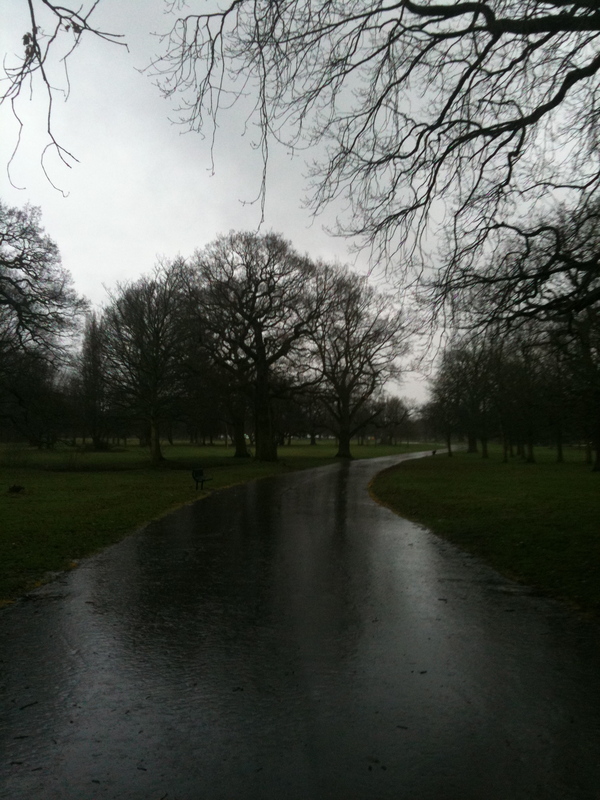 Somewhere between torrential rain and sleet. So I’m anoraked up, because otherwise I’d be on my way to hypothermia by tea time. It was pelting down this morning. Today’s training starter; one-mile circuits passing a 5kg medicine ball to each other x 2. The first one was pretty tough – wheezing, sore arm muscles, scowling on my part. Adam keeps trying to talk to me while we’re running. He’s now taking my silence as an indicator that I’m finding it tough. I’m just trying to keep my breathing under control. Second lap was easier, but I think we’d slowed down. This medicine ball weighs 5kg, that’s one kilo up which might not sound like much, but you notice the added weight. Training main course; pad work with squats against a resistance band. You’ll notice squats figure pretty much weekly in our training and to be honest I find them relatively easy now. My glutes are on fire by the third set but they’re nowhere near as testing as lunges. I’d squat over lunge any day. But the pad work was great fun. Now many years ago – about 10 – I used to be a pretty committed kickboxer – lau gar don’t you know! I trained three times a week in two to three hour training sessions. And while I as a terrible competition kickboxer I very much enjoyed the belt training and the aesthetic of kickboxing. Claude Van Damme, cheesy I know, but that man has it going on when it comes to the grace of kickboxing. Kickboxer is one of my favourite films – judge me, I don’t care. So, everything Adam’s call out for me to do, I know it. Jabs, twisting, long punches, ducking, bouncing on my toes, switches – like a trip down memory lane. Somehow my memory fires into my body and I have complete confidence that I can do it. And so although my arms were on fire I kept going, because my memory remembered training where we punched through any burning muscle sensation and I was expecting to be carrying on long after Adam said ‘stop’.. My legs were springy again and although the final lunges were really tough I was determined to complete each one properly. Confidence that you can achieve, to have no doubt – I reckon that’s more than half the battle for me with running. Just doing it, without analysing the probabilities of under achieving -without any fear. Imagine!